In October 2017, The Obama Foundation held it’s first ever Obama Foundation Summit to celebrate and inspire civic leaders from across the globe. 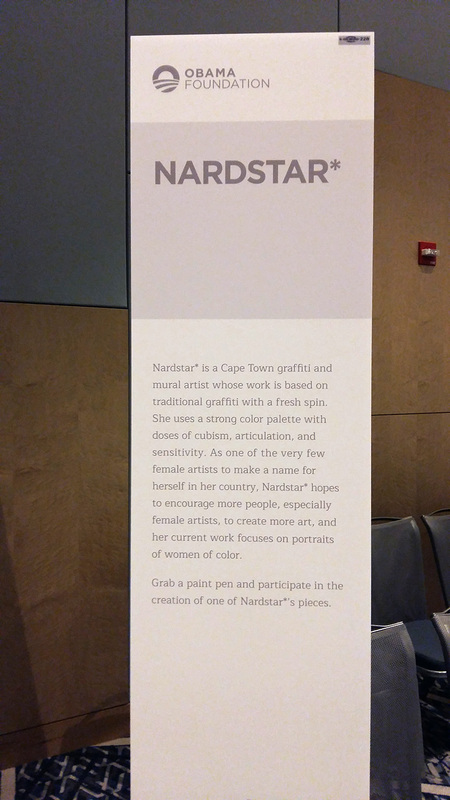 Nardstar* was invited to attend and participated further by creating a interactive mural where attendees could get involved in the mural painting process. 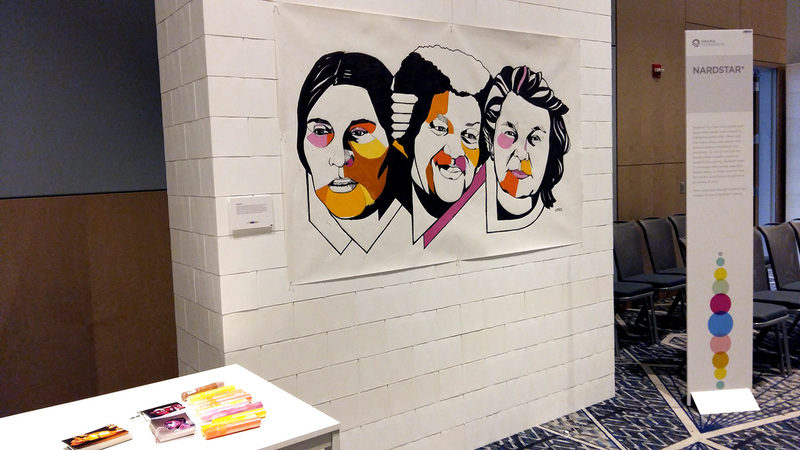 Sticking to the theme of civic leadership, she produced a mural that consisted of portraits of freedom fighters Barbara Hogan, Albertina Sisulu and Fatima Meer. 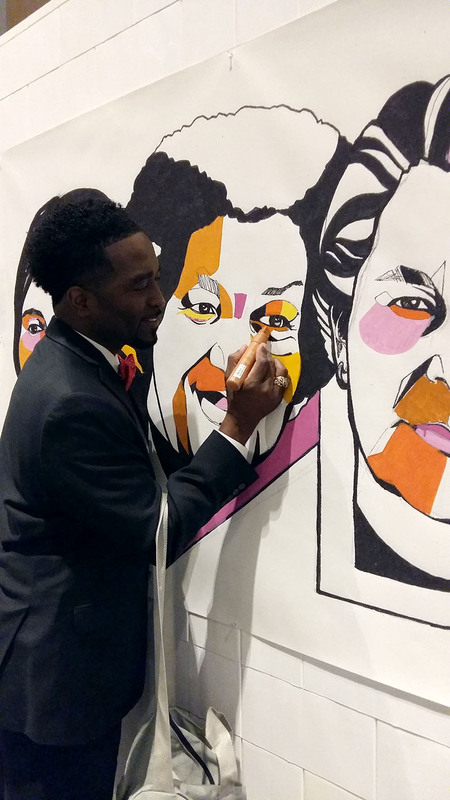 Nardstar* designed a ‘colour-in book’ style mural that would become a collaborative creative process and by doing so created a safe space for people to experiment with painting. Read more about the summit here.